I'm Fabio Lamanna, a freelance civil engineer working on transportation networks, urban mobility and data analysis. I work and play with data coming from urban mobility, cities, social networks and transportation systems. Also supporting the enthusiastic team at LARUS discovering data patterns on graph databases and organizing the DataBeers event in Venezia. More information are available in English and Italian on my Curriculum Vitae. You can find my works here and on Twitter, GitHub and Behance. A set of flight trajectories of some commercial aircrafts during a winter day (Feb. 15th 2019). Data taken from FlightRadar24. Thanks to Nomo Design for the inspiration. Migrant and hosting communities face long-term challenges in the integration process. Immigrants must adapt to new laws and ways of life, while hosts need to adjust to multicultural societies. 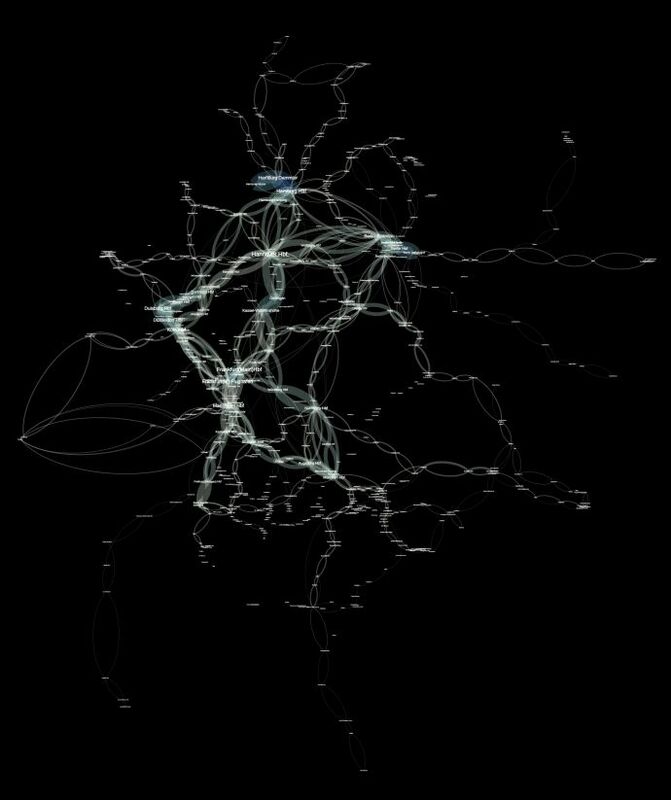 A Neo4j subgraph of Twitter data taken from users "overlapping" Zurich (ZRH) airport in the last three years. The dataset has been built over users that at least once passed through an airport area, emitting a tweet. The German Railway Timetable Network, where nodes are stations and edges real time train paths. 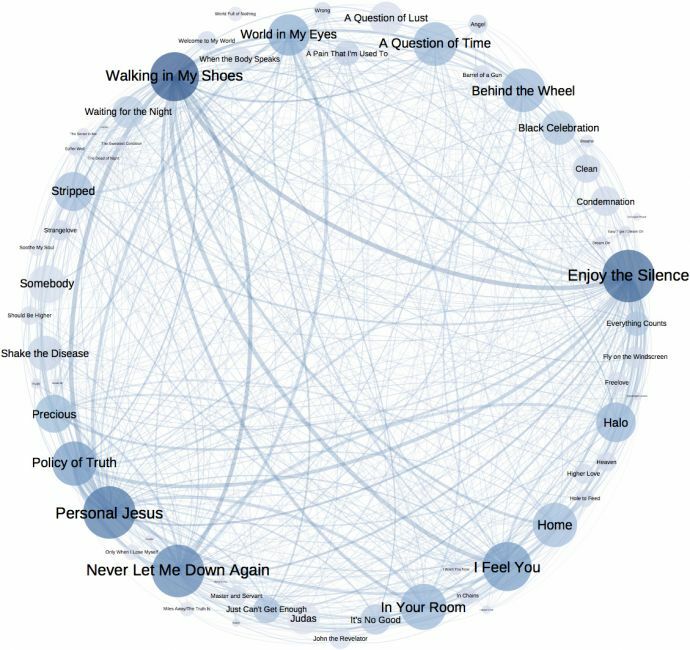 Mapping the influence of Depeche Mode’s classic hit “Enjoy the Silence” in the tour history. 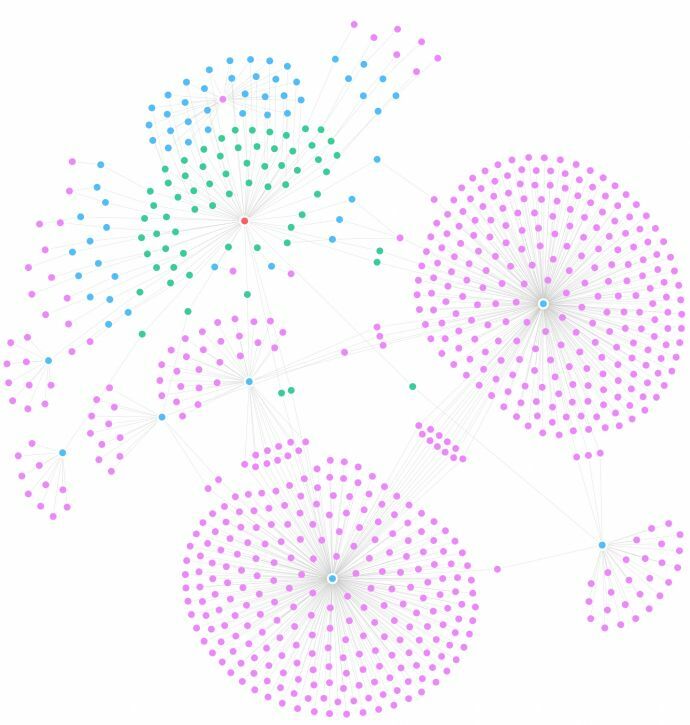 Virtual connections and the natural cultural path towards a full knowledge and awareness of Migration phenomena, by means of Open Data and Neo4j. 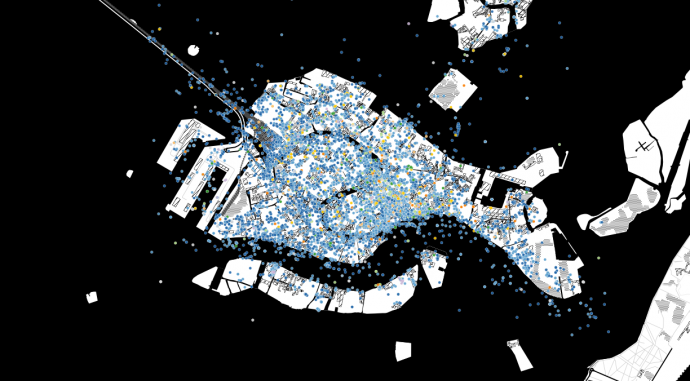 Plot of nearly 30.000 tweets with their own language taken from eight months of geo-localised Twitter activity over Venice.